C20 West and South West Groups have joined forces to organise a day out to two very different venues. First we will have a guided tour of the Hinkley Point Power Station by EDF. We will meet at 9.15 am at the Visitor Centre in Bridgewater and then travel to the power station. The tour of the power station lasts around 2hrs. After this we will travel to Williton for lunch and a wander around the world-famous Bakelite Museum with its unique collection of ordinary and extraordinary objects from the Naughty (18) Nineties to the Swinging Sixties. It includes thousands of items that were used in homes and workplaces throughout the country, things made of Bakelite and other early plastics in fabulous colours and patterns, and things that were part of everyday life in the Bakelite era. 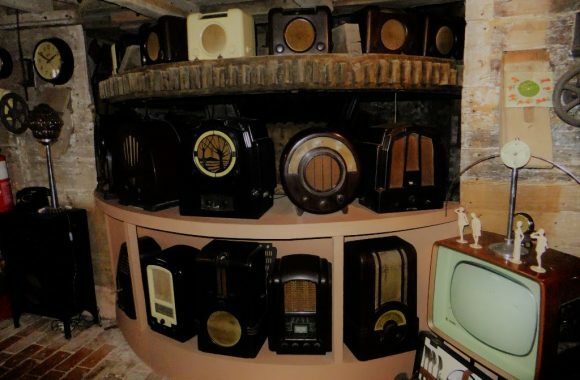 The Bakelite museum may be moving this year so this is a good chance to see it in our area. The day will cost £10.00 including entrance to the Museum. Bridgwater is on the main railway line. We will need some cars to get us between venues so if you book could you let us know if you will be coming by car. There are serious security issues so if you book we will send you the regulations about visiting the Power Station. The Bakelite Museum is far more relaxed! To book contact C20 SW’s treasurer Geoff at geoff.biy@icloud.com. Places are limited to 15 between the West and South West Groups, so they are being offered on a strict first come first served basis.